I plan on finishing my latest novel which is only a couple chapters away from a complete first draft. Very close. Can’t wait for this one. I am revising a full-length play I just wrote in the last few weeks entitled “The Last Bastion.” I’m working with a local theatre to arrange a workshop reading of it later this year or in January of 2017. I am still revising some of the scripts for my RLT Players show on December 1-3. I had to pare down one script to fit it under 10 minutes as it will be part of the Short & Sweet Festival in November here in Penang. I revised another one yesterday and sent the new script to the actors. Those poor actors! But I want to get it right! All of this, and only one week. I’m looking forward to a fun-filled, productive writing week. What will you be up to? 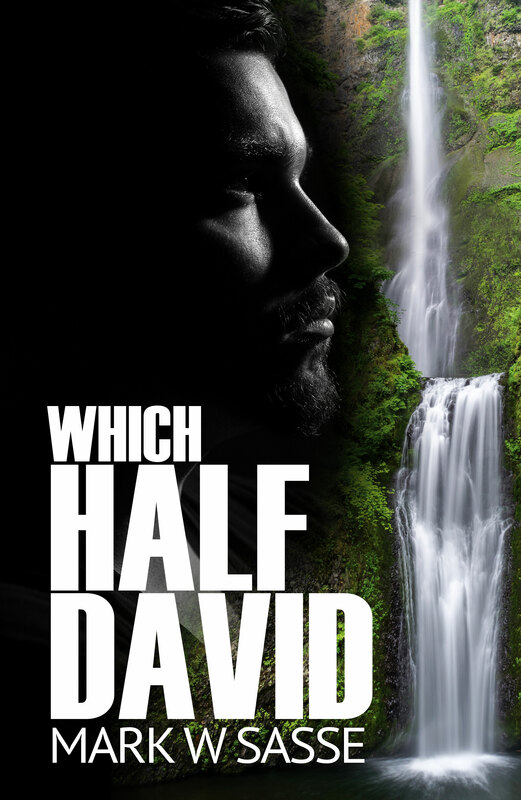 As I wrote last week, I’m working through my post-edited novel one last time – “Which Half David” releasing on September 15. The more I read and put the final touches to it, I’m getting more excited about it. Not that I know how it will be received by readers because I absolutely have no idea. But I’m getting more excited because I can finally say deep within me that this is the story I wanted to tell. It was a difficult story to write because of the setting and subject matter. Lots of sensitive topics and all kinds of things which can be interpreted by different people to be this or that. But all of that doesn’t matter. It’s a story. A work of fiction. It has become what I want to tell, so that’s all I can wish for. Early on, it was a very different story. I wrote it differently for a variety of reasons, but my beta readers really put me back on the right track, and I’m very grateful for that. The novel is cleaning up well and it has an interesting, weaving plot that starts at one place, goes to a completely different place and then cruises home to blend to the parts together. I like stories like that. Ones that seem to end but ultimately have meaning which unexpectedly pops up again. That’s kind of all over the place, isn’t it? That’s fairly typical of my writing. It touches on a lot of various themes and has a plot which moves in many directions. That’s the kind of stories I like. Lively with a touch of the unexpected. I’m currently over the 50% location and hope to have it available for pre-sale in the next two weeks. September 15 is the date. I can’t wait. It will be fun and rewarding to have #5 “in the books” so I can focus completely on #6 which is coming quickly on the horizon. And I have big surprises with that one. Can’t wait. It’s such fun being an indie author. Thanks for your support! Creative Anchors. How to choose a direction for your story. This is my term (as far as I know): Creative Anchor. I use that term to describe the first time an idea pops in my head which will “anchor” or force a story along. It’s a crucial creative idea which will make or break a chapter, sometimes even a story. Once you plop an anchor down, you either are stuck with it or will be forced to do a major re-write, in effect, ripping the creative anchor out of the ground and causing all kinds of headaches for your story. Sometimes, obviously, it still needs to be done. So how do you choose creative anchors? I suppose the ways of choosing them are as varied as authors themselves. Let’s look at an example. Whisked away somewhere. Where will it be? Antarctica? Punxatawney Pennsylvania? Cochem, Germany? Each choice brings its own rewards and pitfalls. Once your character travels to any specific place, he or she is bound to the reality of those places and the baggage they carry with them. This is why writers must choose the anchors carefully. NOT! That sounds like the right thing to say, but I can attest in my own writing, that is not remotely how I do things. I do not think about those three destinations above and try to anticipate or brainstorm what each would mean for the story. Not at all! Never. That sounds horrible. I could never do that. So how can you choose? Or better yet, how do I choose? I just choose one. I wrote a story where I knew the character would travel and so I randomly chose a deserted island, not that I knew what was going to happen on that island or how that island would feed into the story. I chose it simply to find out what would happen. No other reason. Obviously, what you choose is vitally important, but there is no way to know whether a different choice would be better – other than to re-write it with the different choice. You can certainly do that if you like, I don’t. Or rarely, I should say. I believe (and it could be a foolish belief) that I can write myself out of any situation I write myself into. That, to me, is one of the most enjoyable parts of the creative process. So my advice to young writers would be not to get too caught up in your ideas and wonder which direction you should go. Just go! Do! Create. Discover. Give yourself a challenge and force yourself of a creative way out of it. To me, that’s what writing is all about. Hey Writers: How Varied Are Your Interests? Some people have commented that I’m a little out of the ordinary. As a writer, I think that is to my advantage. Writers are a strange breed – I’m starting to think. I’m a history teacher who majored in English. I’m a drama teacher who is primarily a history teacher. I’m a writer of novels and plays. I write both short plays and full-length plays. I love to cook, but I don’t like using recipes. I’ve never acted but I teach people how to act. I love politics and economics but I’ve never had a course in either. I’m fascinated with technology and computing. I’m not a musician, but I taught myself enough chords on the guitar that has helped me become a writer of musicals. Yes, I love musicals even though I’m a man. I’m also interested in religion and culture. I’m a news junkie, reading everything from hard news to soft puff pieces. As I write, I look back on all of these experiences, and I realize that each and every one of them help me become a better writer. The wider the net, the greater chance that a particular idea or scene will cement itself in my mind. Out of all of my interests, history is probably the one that has influenced my writing the most. It has grounded my writing in the real, the here and now, the tangible, which helps me build realistic and gripping human stories. Or at least that is my goal. So what about you, writer? Have you expanded your interests? It is both helpful and advisable for you to do so. It will widen your scope and make your writing more interesting. A while back, I posted how I decided to re-write my new novel which I had previously re-written and re-vised enough. (or so I thought) But once I started getting some feedback from readers, I realized that I had made some mistakes, and regardless of how painful and time-consuming it would be, I needed to re-re-write the entire novel again! I added four brand new chapters. The length of the novel increased from 86,000 words to 99,000. The tone of the novel is much improved. I added backstory to all four main characters. I completely changed the ending. I overhauled the relationships in the story. I drastically changed wordings to make it more like me. And while I didn’t necessarily enjoy doing all of the above, it’s what had to be done if I want to be a serious author. I’ve always told myself that I will not accept shortcuts and this novel was the first one which really tried my patience. But I’m happy I fought through it, and readers will be happy too. It’s much better. Even if a reader still doesn’t like it, it’s MUCH better. If they don’t like it now, they would have HATED it then. I have to take the readers into account. Yes, it’s my novel. I drive it. I create it. But when I’m too caught up in the “me” aspect, I can lose sight of my own voice. I can make my writing sound different from what people expected. That’s not always a good thing. Trying new things is one thing, but trying to be someone you’re not is completely different. I righted the ship. Don’t rush. Don’t push out a product just to meet a deadline. Hey, we’re indie authors. We make our own deadlines. Don’t impose false deadlines which aren’t going to be helpful in the long run. The story is what’s important. The story should tell you what the deadline is. Listen to your beta readers. I hate to say this because it sounds like I’m patting myself on the back. I’m not. I’m actually kicking myself. It would have been easy to get defensive with my beta readers and tried to explain why I did such and such in my earlier drafts, but that wouldn’t have proved anything. Only that I’m stubborn and short-sighted. Be humble. Take criticism. Learn. Improve. Strive. These are words I have told myself to take to heart as an indie author. I think I have, and my novel is much better for it.